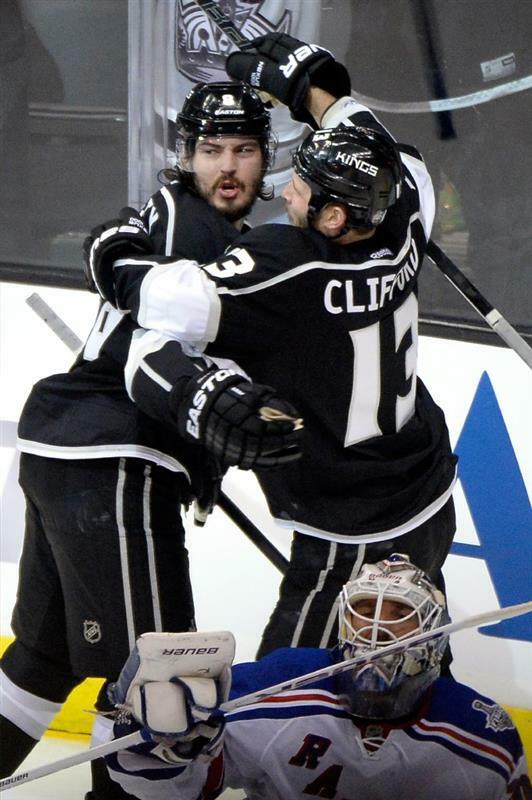 Scoring on second Kings goal was Doughty from Williams and Clifford, at 6:36. Doughty pounded hard on glass after that one. Practically every Rangers fan here at the game, who is male and over the age of 50, looks like Brian Dennehy. Kings didn't score on power play. but didn't get scored on, unlike first-period shorty by Hagelin. Trevor Lewis has had an uncanny number of great chances. hasn't put 'em away. Brown is back out on ice. Loved seeing doughty make that mistake in 1st...BECAUSE..great players like that always redeem themselves... And then some. What a goal! 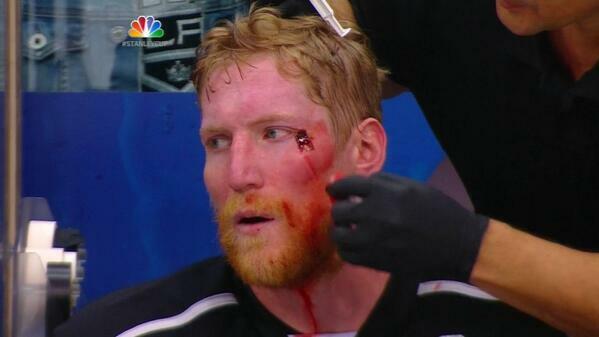 Matt Greene being treated for bloody cut near outside corner of his left eye. @LAKings have not looked as good tonight on faceoffs. Doughty on bench livid that Rangers didn't get penalty for forearm to his head just before Richards penalty was called. Two big Brad Richards shots denied, end of second, 2-2 in Stanley Cup finals Game 1. End of two: Rangers 2, Kings 2. Shots are 22-21 for Rangers. From Green's bloody eye to Doughty's bloody cries, Kings getting pushed around yet still tied after two periods..
and it’s time… for the 2nd Period Intermission Q&A Stanley Cup Final Edition™! Per Kings, this is Kyle Clifford's third multi-point playoff game and first since 4/23/11 vs. San Jose. 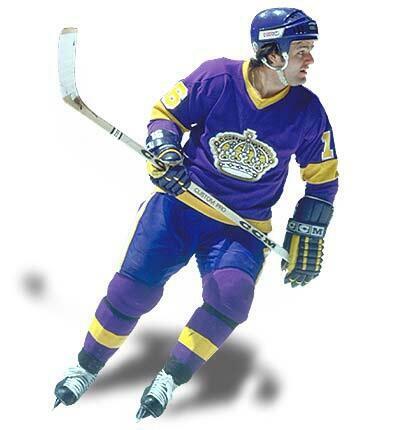 Kings trivia: Which player has scored the most goals in Kings history?